It is hard to disagree with this. Indeed, this is, perhaps, a characteristic of immature and unstable societies: through the elections people delegate their hatred, disgust, disappointment to a particular group of politicians, who persistently settle their accounts in both acceptable and unacceptable ways. While MPs coming from Lviv beat up MPs coming from Donetsk in the parliament, people in both Lviv and Donetsk go about their business, occasionally making fun of their hired amusing “troops.” According to the original idea, people in the parliament had to pass laws that would make life easier for people, who voted for them, but politics is an art of the possible, isn’t it? Fine, but what do women have to do with this? Of course, we could write something sentimental and playful, something like “They bring beauty and compassion in this puppet show of lawlessness.” But gender equality is above all. 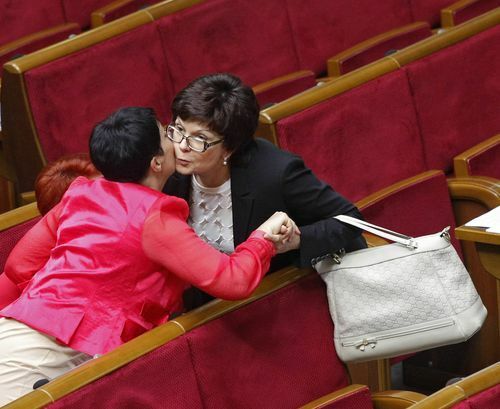 For example, I seriously believe that Vitalii Klitschko also brings beauty and compassion into the parliament – especially the latter, considering his tactics of set non-interference in fights at the presidium. Things are different with women, however. 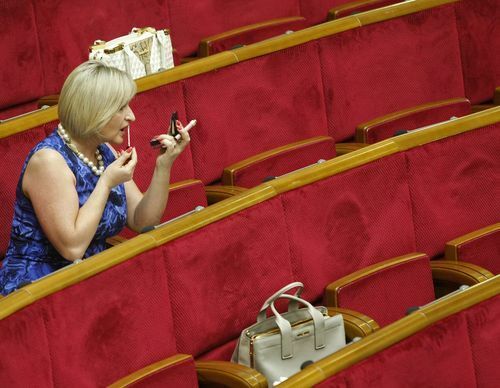 The main problem is that there are not enough women in the parliament. 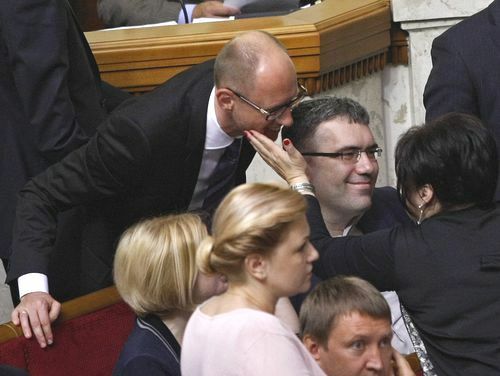 No matter how gently they stroke Arsenii Yatseniuk on his cheek, how they are being photographed in the midst of applying makeup at work place, or how they exchange friendly hugs, this won’t work. There should be more women than there are now, at least half of the general number of MPs. Firstly, there have not been recorded a single female dictator in the history of humankind. Secondly, they won’t fight. Thirdly, men will have fewer opportunities to apply their fists and break meetings, thus, more work should be done. Finally, it would be fair and will comply with European standards. It is all benefits, by all means.